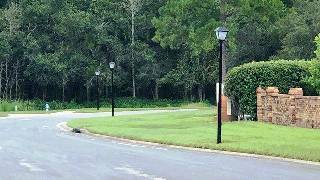 OVIEDO - Homeowners protesting an assessment fee to pay for streetlights in the city of Oviedo turned out at a City Council meeting Thursday night to make their voices heard. Ultimately, council members approved the fee, saying they would review it each year to see if the amount could be adjusted. Their comments came during a public hearing on a resolution designed to raise $1 million for a new streetlight district. According to city records, $800,000 would go to maintaining the existing lights, and $200,000 would help pay for additional lights. During the meeting, council members admitted there are budget problems, and the city has been taking money away from street maintenance in order to pay for the streetlights. "This is a piece of garbage," said one resident during the public hearing. "Your people are angry." She said she was angry that homeowners would be leveled with a $78 year fee tacked onto their city taxes. Many voiced frustration, claiming they were already paying for the streetlights through the taxes they were paying. "This is an undue stress," said one of the residents. Council members told the residents that the new streetlight district was a sign the city is growing and needs more resources to keep the infrastructure maintained. Some of the residents offered to give up their streetlights altogether to save the money. One woman took it a step further. "Remember, we are residents," she said. "But we are also voters."